blended broccoli and celery makes me gag. And I am addicted to reading blogs about green drinks/smoothies. This habit/lifestyle/diet/breakfast is so amazing for so many reasons!!! However….most of the green drink world is able to put more vegetables into their drinks than I am. I have found that if I put more than 4 whole foods into my drinks, it creates an applesauce texture that is too difficult to get down. Not fair! I want more veggies! And I want to be able to actually drink my concoctions. Turns out- the green drinkers have POWER BLENDERS!!!!!!!!!!! No surprise, now I want one. 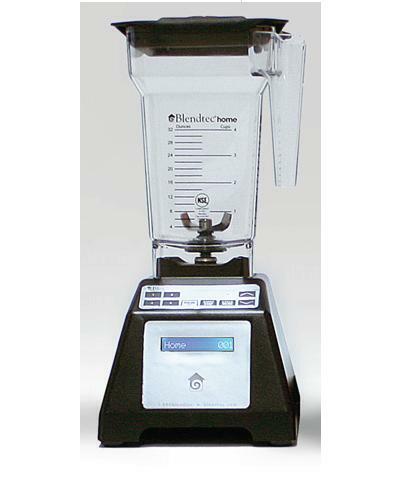 Meet the BlendTec. The man of my dreams. Don’t you LOVE that term! 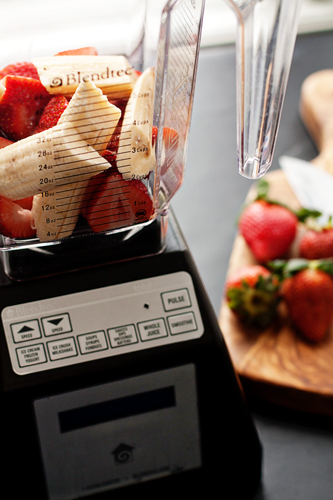 Smoothie sounds weak. This “whole juice drink” is perfectly smooth and I don’t have to sacrifice the fiber found in whole foods. I am talking like I own this sucker. I don’t…. Anyone want to fork over $430 for it? 🙂 Santa? Easter Bunny? Tooth Fairy? Hello?